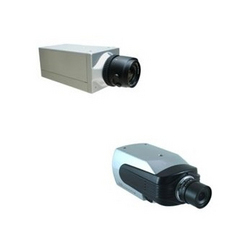 We offer Box IP Camera & Dual Codec IP Camera. 3GPP for monitoring via 3G cell phone. Up to 30FPS 720x480 resolution. 2 Sensor inputs and 2 digital outputs. 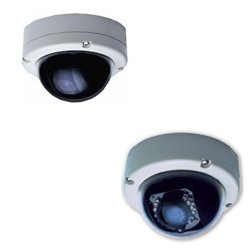 We offer all kinds of Dome IP Cameras. Vandal proof network dome camera. IR distance up to 12 meters. Support SD card for event recording. 3GPP for monitoring via 3G mobile phone. We are offering Speed Dome IP & PTZ Camera to our customers this Speed Dome IP & PTZ Camera is designed keeping the quality standards in mind. Speed Dome IP & PTZ Camera is a type of IP camera used by many people and companies now-a-days. Note : The Procut price Range Vary from Rs 25500 to Rs 150000 Per Piece. Removable IR-cut filter for day and night function. WDR Enhancement for unparalleled visiblity in extremely bright and dark environments. Built in 802.3af complaint PoE. Built in MicroSD/SDHC/SDXC card slot for On-board storage.